Most all people in western culture and society who are mature, so far as age is concerned, have heard of the term “the second coming.” Few, however, understand the term. Even fewer who think they have understanding have it right in their perception of that world-transforming future event. The accuracy of their understanding depends upon adhering to what God’s Word, the Bible, says on the awe-inspiring topic. Interpretation must be undertaken from the viewpoint that God is speaking to His creation–man—in a literal sense. That is, His foretelling must be taken as literal, not as being spiritualized, symbolic, allegorical, or as things that have already occurred in any way, shape, or form. With that as an admittedly simplistic frame of reference, we will move more deeply into the subject through a stupendous body of prophecies yet to unfold that will profoundly affect every human being who has ever been conceived within the long history of this now fallen sphere. We will look particularly at the prospect of Christ’s return as it affects each and every person presently alive. To be “second coming ready” is the most important preparation any individual can make. This is because being "second coming ready" means a person’s soul, his or her eternal being, is in God’s family forever. Some Scriptures reveal that no one can know the exact day or hour of Christ’s return. Others tell that the exact number of days to His return to earth can be precisely calculated. 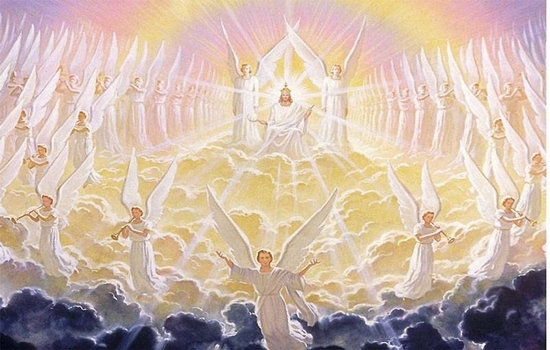 Matthew 25:13 says Jesus will return at an unknown time, while Revelation 12:6 indicates that the Jews will have to wait on the Lord 1,260 days, starting when the Antichrist stands in the Temple of God and declares himself to be God. This takes place three and one-half years into the seven-year tribulation period. Which is it? Can Christ’s time of return be known for sure, or not? God is not the author of confusion (1 Corinthians 14:33). His Word is orderly, and always makes sense when proper context is applied and when the reader is faithful to seek out what it really says. It is vital, therefore, that Bible prophecy, as the Word of God in general, be studied thoroughly in total context. It can be hard work, but blesses the soul every time it is done. So, we see that the area dealing with knowing or not knowing the time of Christ’s coming back to earth presents what might be construed as contradiction. Bible prophecy seems to say different things about earth dwellers being aware of exactly when He is coming again. It is impossible to understand the apparent contradiction (which is not contradiction at all) without in-depth study on the matter. Such study, covered with prayer for understanding, reveals that Christ will return to Planet Earth in two distinct phases. Additionally, study brings realization that it is essential to understand that God is working within two prophetic programs: one involving the church of the Lord Jesus Christ, and the other involving His chosen people, the nation Israel. The two dovetail into the most glorious event in human history to occur since Christ’s first coming. 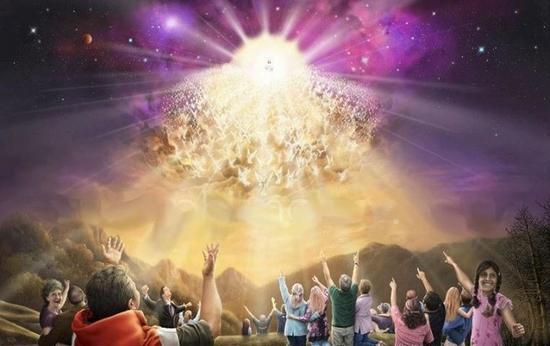 Rapture of the church, as foretold by the Apostle Paul in 1 Thessalonians 4:13-18 and 1 Corinthians 15:51-55 will be the one atomos of time (faster than the eye can blink) when Jesus will call all believers of the church age to be with Him forever. This is the “mystery” Paul showed believers, revealing in full what Jesus meant when He said the following: “Let not your heart be troubled: ye believe in God, believe also in me. In my Father's house are many mansions: if it were not so, I would have told you. I go to prepare a place for you. And if I go and prepare a place for you, I will come again, and receive you unto myself; that where I am, there ye may be also” (John 14:1-3). However, not every Christian will be “ready” in another important sense. Those who have lived carnal lives–lives that are not walking in the will of God will lose rewards at the bema, or judgment seat of Christ. The believer must do his or her best to live the way God expects of His children while still in this mortal flesh. Those who do not won’t be kicked out of God’s family or be left behind to suffer His wrath (for we are not appointed to the wrath of God; see 1 Thessalonians 5:9). But, those who choose to live apart from the Father’s instructions will have disappointed their Lord, and at the bema judgment will see their carnal works burned in the holy fire that purges unrighteousness. Sinful acts, through commission or ommision, cannot enter God’s eternal kingdom. Jeremiah, the Old Testament prophet, said the following about that horrendous time: “Alas! for that day is great, so that none is like it: it is even the time of Jacob's trouble; but he shall be saved out of it” (Jeremiah 30:7). Israel will be the host nation to the Lord’s throne atop Mt. Zion (Mt. Moriah remade and raised above the terrain). King David, in His resurrection body, will be Christ’s coregent for Israel, while Christ reigns as King over all the earthly kingdom. Thus, all promises God made to Abraham, Isaac, and Jacob will be fulfilled. There is no more critical a matter for any person than being second coming ready. The Christian (born-again child of God) must be ready for the moment when Jesus will say, “Come up here,” as He did to John in Revelation 4:1. This preparation can be made only through dedication to the purposes for which the person has been placed on earth–to carry out the will of God. That is done through prayer and study of the Bible, then translating that prayer and study into living every minute of every day with the thought of abiding in God’s will. We are to be royal ambassadors in a foreign land. Christians are to be outward-turning, not inward-focused--i.e., the child of God is supposed to think more of others than of himself or herself while going about daily life. This doesn’t mean assuming a pious, head-in-the-clouds attitude. It means that Christians should be Christ-like, meeting and interacting with people the way Jesus did. The believer should be about helping people in material ways, but always secondarily to informing them that Jesus alone is the way to God the Father for eternity (John 14:6). "And it was given unto him to make war with the saints, and to overcome them: and power was given him over all kindreds, and tongues, and nations. And all that dwell upon the earth shall worship him, whose names are not written in the book of life of the Lamb slain from the foundation of the world. If any man have an ear, let him hear. He that leadeth into captivity shall go into captivity: he that killeth with the sword must be killed with the sword. 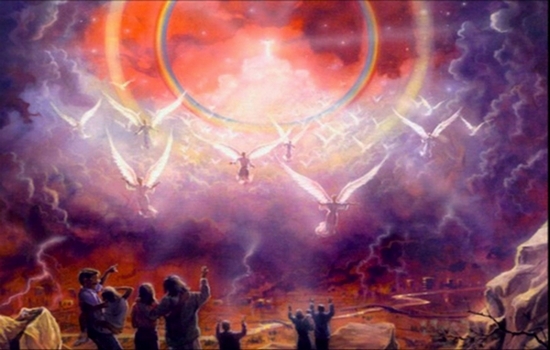 Here is the patience and the faith of the saints" (Revelation 13:7-10). 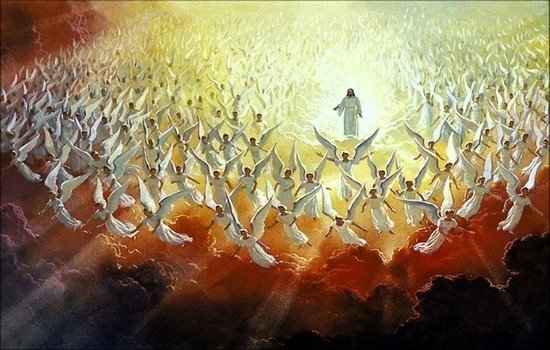 Rapture Ready - This is Terry's website where you can find more of his informative articles.